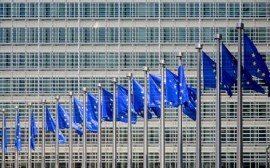 When it comes to fintech, online platforms, access to customer data, standardisation and interoperability can result in anticompetitive behaviours, believes the European Parliament. According to its most recent report, “Competition issues in the Area of Financial Technology”, it qualifies the area of fintech as “very young”. It calls for establishing a case practice of how to deal with competition concerns, since this area “can benefit European consumers regarding cost reduction, improvements in efficiency, greater transparency and a contribution to the goal of financial inclusion”. The report states that “most of the potential competition issues in the fintech sector described throughout the study have not occurred, or have not been detected by competition authorities so far”. The reason for this is that traditional indicators fail to explain the economic relationships between offer and demand in the provision of fintech services. Online platforms, as they disrupt the traditional “pipeline” way of bringing in business and create a network effect, which insulate large platforms from the competition. Interoperability, as an active pursuit of non-interoperability can act as a deterrence with anticompetitive effects if access to the market is difficult or costly. Standardisation may also result in an oligopoly where providers may take the opportunity to agree on features of the service to split the market between them. Control over unique data troves, can result in companies denying access to data to competitors, for example, if the incumbent uses its control over a particularly valuable dataset to create a network of contracts that forecloses competition, or tying and bundling of services, leveraging the firm’s position and imposing the use of other services. Lastly, computer algorithms may promote express and tacit collusion because they can learn by themselves and conclude that the best way to maximise profits is to develop collusive practices. The report points out that since it is hard to define the boundaries of what constitutes fintech, “there are no estimates of turnover for fintech services as a whole in Europe at the moment”. According to the report, the average percentage of digitally active consumers using fintech services in 2017 was 33 %. In Europe, the UK and Spain are the countries with the highest share of fintech users, with 41% and 37% respectively, followed by Germany at 35%. Fintech services related to payments and transfers showed the highest penetration among users (50%), followed by insurance (24 %), savings and investments (20%), financial planning (10%) and borrowing (10%). In the EU and the US, the percentage of fintech companies that have been acquired is much higher than in other markets. It suggests that currently market exit of start-up fintech companies in the EU mainly happens through acquisitions.